I probably stopped watching around the 2005 / 2006 series, you can work out when you stopped watching Big Brother with this handy listing of all the Big Brother winners on the BBC. Some friends stuck with BBUK for many more years then I, but even in recent years they lost interest. Though one of them still expects Gamu to win the X-Factor this year! 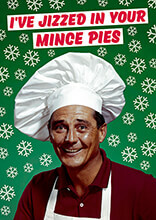 While Big Brother UK has come to an end (for now) the Christmas season is fully here for us retailers! Some may argue that isn’t until the John Lewis & Partners Christmas advert comes along – the Penquin story is still one of my favourites. That version was made by Pieces for Places in Barmouth in North Wales, that I am pleased to say now stocks Dean Morris Cards. 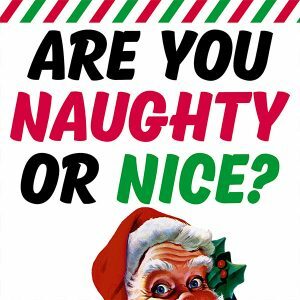 So to start your Christmas shopping off I wanted to share with you a few of my favourite naughty products and to show it’s not all filth some nice cards! Let’s cut right to it, and start off with a little something someone said the may ” put it on the table at my works Christmas bake off, next to my mince pies”. A lovely card to bring some cheer and to show off that special ingredient you add to give those buttery pasty treats that extra little something. And then there is the really naughty stuff! Too rude for this blog, but so rude you can find it in the Offensive Christmas multipack … the perfect antidote to pictures of Robins in snow. 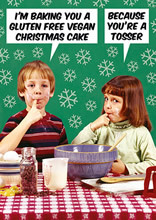 We do have plenty of nice lovely Christmas Cards on offer too! 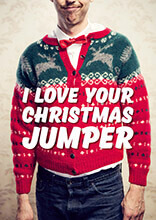 As lovely as the your favourite Christmas jumper! So while you wait to see that first house with its Christmas Tree up can can think about this. Can you get one more year out of those Christmas Lights, you don’t want to waste money on a new set. If all else fails, remember it is the festive season and you can tell your favourite drink how much you love them.